The special pass makes a great choice for our Abu Dhabi guests to explore Dubai Parks and Resorts’ four main amusement attractions including Motiongate Dubai, Bollywood Parks Dubai, Legoland Dubai, and Legoland Water Park. This allows you to enjoy its over 100 rides, games and shows as much as you would like to during the duration of your 48-hour pass. Buckle up for some astounding adventure and fun as you enter Motiongate Dubai, showcasing a continuum of Hollywood-movie-themed attractions, particularly Smurf Village Express, Woodland Play Park, and Underworld Motion Simulator, along with several live entertainment like Fountain of Dreams, Ghostbusters Block Party, Meet and Greet Hotel Transylvania etc. Get ready to journey through timeless Bollywood experiences by visiting Bollywood Parks Dubai! The first ever kind of its park astonishingly recreates the classic Hindi movie stories with its many inspiring rides and highlights such as Lagaan: The Thrill of Victory, Sholay: The Hunt for Gabbar Singh, Dabangg: Stunt Spectacular Show, Ra.One: Unleashed, and Krrish: Hero’s Flight. The biggest draw for your little ones is undeniably Legoland Dubai. No matter your kid is very active or incredibly imaginative, its six magical lands cater to every interest. Likewise, Legoland Water Park also has a great line-up of aquatic rides and slides to impress kids of all age group. Enjoy a full 2 day unlimited access to all theme parks including LEGOLAND® DUBAI, LEGOLAND® WATER PARK, MOTIONGATE™ DUBAI, and Bollywood Parks Dubai. 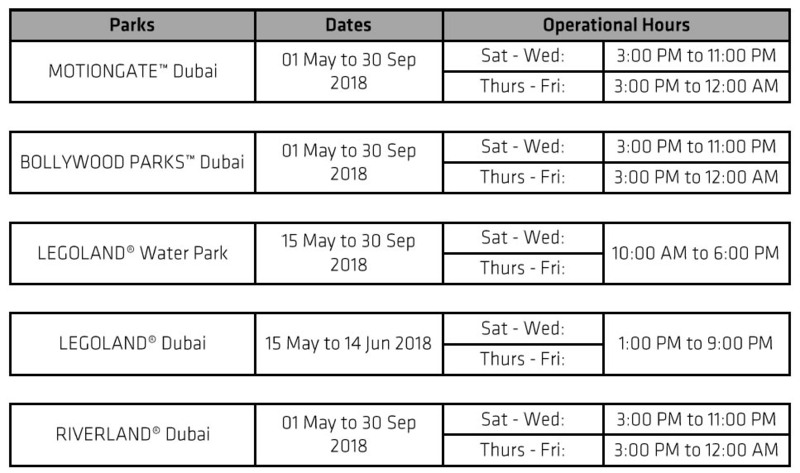 Enjoy a full 2 day unlimited access to all theme parks at Dubai Parks and Resorts including LEGOLAND® DUBAI, LEGOLAND® WATER PARK, MOTIONGATE™ DUBAI, and Bollywood Parks Dubai. This Ticket has 2 days access to 2 theme parks a day. We had an amazing time for 2 full days at Dubai Parks and Resorts. The tickets were booked with Rayna Tours. The tickets were inclusive of entrance to four main attractions – Motiongate Dubai, Bollywood Parks Dubai, Legoland Water Park, and Legoland Dubai with unlimited access to rides. All these four theme parks are full of fun, magic, and fantasy. As there were no limit in accessing the rides, we attempted all. There was so much fun that though being adult, we behaved like a child when enjoying the rides. Not only us, we saw many grown-ups forgetting their age and letting loose themselves. The 48-hours we enjoyed at Dubai Parks and Resorts were the best highlight of our UAE tour. Dubai Parks and Resorts is one of the finest tourist attractions for all ages. With four gigantic theme parks seamlessly integrated, there is no need to see elsewhere for fun, entertainment, and thrill. The beauty of the parks and resorts lies in the variety of entertainment options. And one gets to enjoy all the four theme parks of Dubai Park and Resorts in one single ticket for two full day, it gets tough to avoid. Purchasing the ticket online at Rayna Tours earned me unlimited access to rides and entertainment at Motiongate Dubai, Bollywood Parks Dubai, Legoland Dubai, Legoland Water Park. I even found the price of the ticket quite reasonable. We were aware about the type of entertainment Dubai Parks and Resorts offered. So, exploring them were the top-most priority for us. But visiting all the four integrated theme park on different days was not possible. Luckily, we came across Dubai Parks and Resorts tickets from Rayna Tours. The tickets offered us a chance to visit all the four attractions – The Motiongate Dubai, Bollywood Parks Dubai, Legoland Water Park, and Legoland Dubai for 2 days. With the tickets, we can visit all these four parks and have unlimited access to rides. We thought only a fool could oversee such a offer, and didn't want to be one. So we purchased tickets online from Rayna Tours. Needless to say that the 48-hour we enjoyed at all the four theme-parks were the best one of our lives. My wife and I had a wonderful time exploring the Dubai Parks and Resorts during our two-day tour from Abu Dhabi. Special thanks to your team for arranging this tour. We thoroughly enjoyed our two day trip to the Dubai Parks and Resorts. Thanks to your team and our guide for giving us the best experience of this leisure and entertainment center.